The disproportionate cost of the often chaotic and fragmented last-mile of field service delivery has been a recurring and growing issue in the transportation and logistics sector. While existing field service workflows may not exhibit the same “last-mile” pain points, improvements such as streamlined scheduling, job assignment, and routing optimization have translated into significant labor and fuel cost savings. However, the “last mile” challenges with field service operations extend well beyond dynamic scheduling and route optimization and have to do with what happens when a technician arrives on site in a customer and asset-facing capacity. Many field service solutions have stopped short of integrating the job-site workflow, resulting in operational inefficiencies and erosion of customer confidence. Reliable and fast delivery of high-quality services will define field service leaders in today’s environment where customers have an “on-demand” expectation. However, many of the existing investments in field service solutions are falling well short of this promise. From the pervasive use of inflexible legacy solutions to the limited visibility into the complete field service workflow provided by existing processes—often still pen and paper based — the opportunity to modernize the jobsite field service operations is substantial. Nowhere is this more evident than at the point of asset interaction where technicians are performing maintenance or inspection services. Most of today’s field service automation solutions primarily focus on the dispatching and scheduling aspects of service technicians yet do little to provide visibility and enhance the last mile of service operations. More specifically, existing solutions fall short of more seamlessly integrating job-site specific reporting into their field service management platforms, leading to poor or inaccurate workflow reporting and workflow inefficiencies. Moreover, the mobile computing and communications used by frontline field service technicians are often not optimized for highly mobile workflows—the ubiquitous vehicle-mounted PC is often left behind in the service vehicles—and are based on legacy or proprietary platforms, incurring higher ownership and support costs. 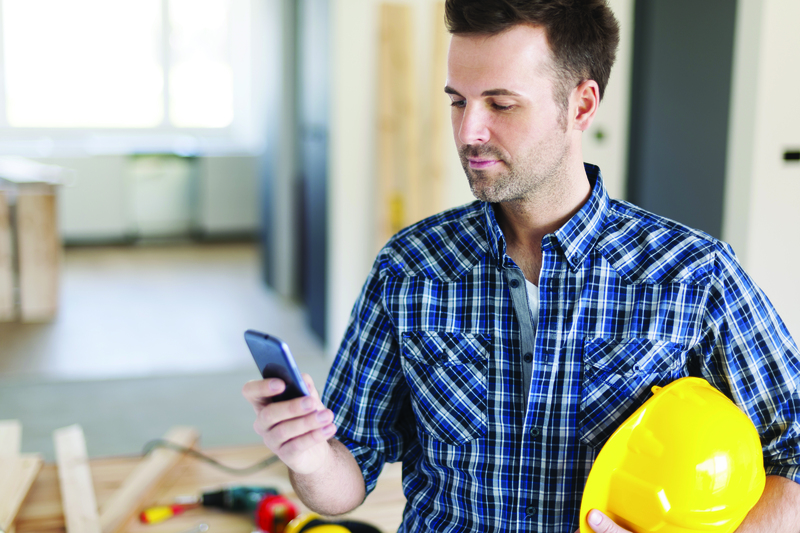 Digitizing the last mile of the field service workflow means much more than simply equipping service technicians with modern mobile devices. It is a comprehensive reassessment of the entire workflow from dispatch to closing the service ticket with more than a signature—a complete audit trail. Forward-thinking organizations are putting the infrastructure in place to more efficiently address customer demands. The time is ripe with affordable access to technologies that provide the tools and real-time data needed for intelligent customer interactions. With continued compression of “product” margins, there is mounting pressure to drive increasing levels of revenues and profit from service-centric revenue streams. For a growing number of organizations this means shifting from traditional reactive—or as-needed—field service operations to more dynamic proactive or outcome-based models. However, realizing this potential requires more than embedding connectivity capabilities in business-critical assets to enable remote monitoring and diagnostics. Of equal importance is addressing the black hole that is today’s job-site workflow. Job-site information is not currently being collected in a coordinated or orchestrated manner. Moreover, the measurement and computing tools made available to service technicians are typically legacy solutions that are not IoT-enabled and are a challenge to manage and support. Taken together, the level of reporting that occurs on the job site is inconsistent at best, translating into massive operational inefficiencies and an overall increase in the cost of service. By connecting devices, people, and business networks, the next generation of field mobility solutions are changing the way business and customer-critical assets are being managed, facilitating the shift from a reactive service model to a proactive, predictive, and preventative service model. 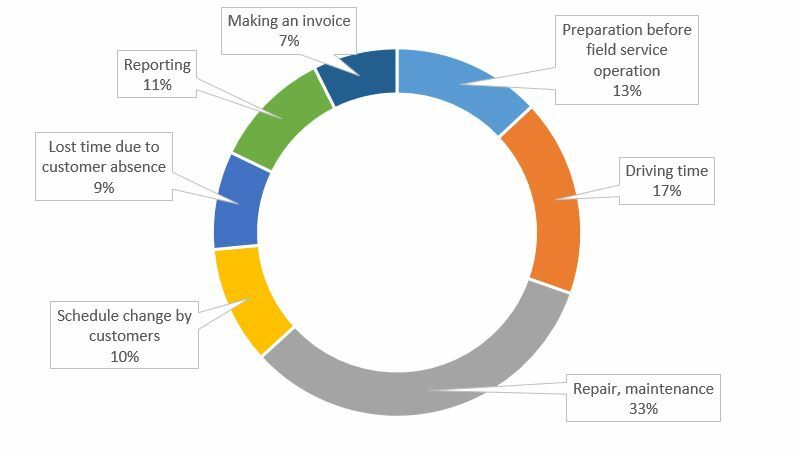 Now that service revenues are growing at twice the rate of traditional product revenues for many organizations, an increasing focus and strategic emphasis is being placed on cost savings and revenue-generating field service operations. Leveraging new technologies such as IoT, unprecedented insight into business processes will lead to new products and services, innovative business models, and greater business growth. However, today’s reality paints a different picture. Service technicians today spend more than 30 percent of their day in a customer or asset-facing capacity on the job site. With so much time attributed to non-job-site-related activities, it is essential that technicians optimize the most critical aspect of their daily shift on repair and maintenance. In fact, according to field service organizations, the KPIs with the greatest benefit or impact to their operations are time-to-fix, first-time-fix, and overall response times. Specific factors contributing to job-site workflow challenges are diverse. As identified by VDC’s research conducted among field service solution decision makers, issues ranging from incomplete job data in the work order to a lack of a comprehensive audit trail are among the many factors compounding workflow inefficiencies. As a result of these issues, ineffective job diagnosis is a common occurrence with service technicians, ultimately wasting time and incurring prolonged customer visits. Today’s fragmented and often disconnected approach to managing work orders and job site workflows is often the root cause of these inefficiencies. For example, many service technicians still rely on pen and paper at the job site and when mobile computing and digital data collection and measurement solutions are used, they are frequently not connected or properly integrated with the work orders technicians are supporting. Modernizing this infrastructure offers service organizations the opportunity to substantially improve their leading service KPIs including time-to-fix and first-time-fix rates.